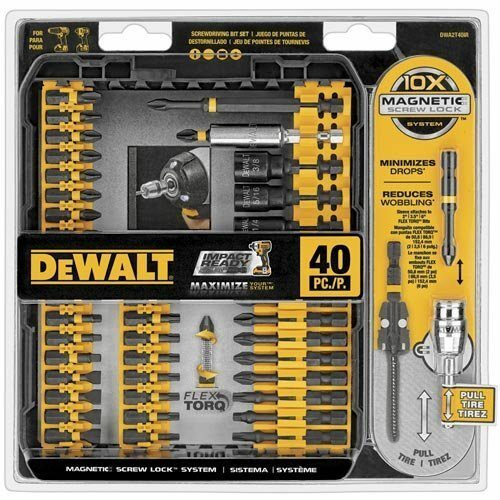 DEWALT IMPACT READY FlexTorq Screw Driving Set, 40-Piece Only $19.99! You are here: Home / Great Deals / Amazon Deals / DEWALT IMPACT READY FlexTorq Screw Driving Set, 40-Piece Only $19.99! Head over to Amazon and get the very highly rated DEWALT IMPACT READY FlexTorq Screw Driving 40 Pc Set for Only $19.99! Down from $40!